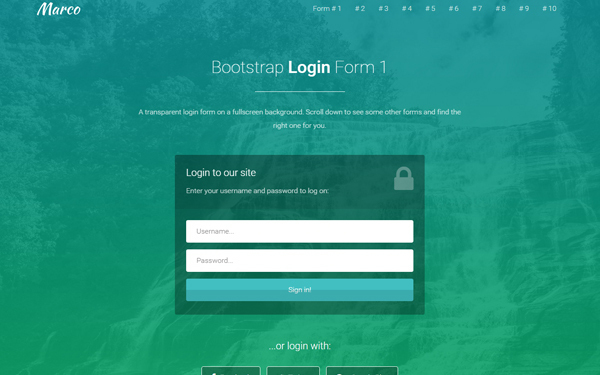 Today’s web design resource is a new free Bootstrap template called Regy. 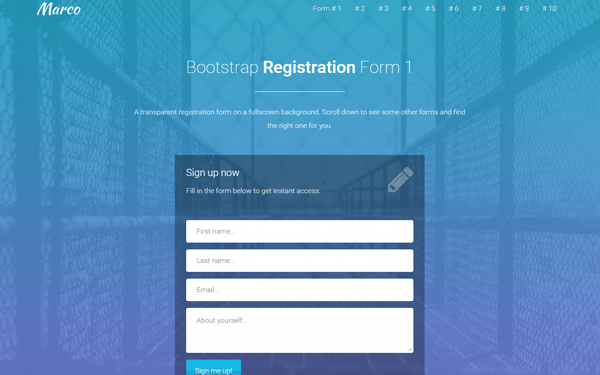 It’s a registration landing page that you can use in your projects to present your application or service and offer the users the possibility to sign-up. 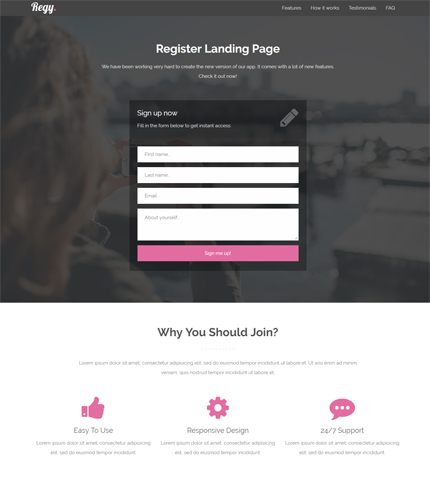 Regy comes with a responsive layout, modern and clean design, fullscreen backgrounds, CSS3 animations, Font Awesome icons, testimonials section, video section, etc. Take a look below to find the full list of Regy’s features, the live preview link and the download link. Enjoy!